The Ministry of Home Affairs (MHA) on Friday conveyed to the Delhi High Court, that Border Security Force (BSF) soldier Tej Bahadur Yadav, whose video complaint about bad food at his unit triggered a row, had not been arrested but moved to another Unit. The High Court took up the habeas corpus plea, in which Yadav's wife Sharmila has said that she is unable to contact him for the past three days. The court further asked, why Yadav's wife had not been allowed to meet him at the new battalion camp. The plea alleged that the jawan had been illegally detained after the video regarding bad food being served to jawan's went viral. Under the court's orders now, Sharmila Devi will be allowed to meet Tej Bahadur over the weekend at the 88th battalion HQ in Samba and the matter is now set to be heard on 15th February. The petitioner has claimed that after the video was floated, her husband was missing and there were no whereabouts about him, nor was his family being allowed to talk to him. His mobile phone has also been seized, the petition claimed. However, the BSF advocate asserted that Yadav's wife's claims are unfounded and also submitted call details of the jawans speaking to his family. The BSF has also stated that they have no objections to his wife meeting him, and that she will be meeting him at a suitable place and the necessary arrangements can be made for an overnight stay too. 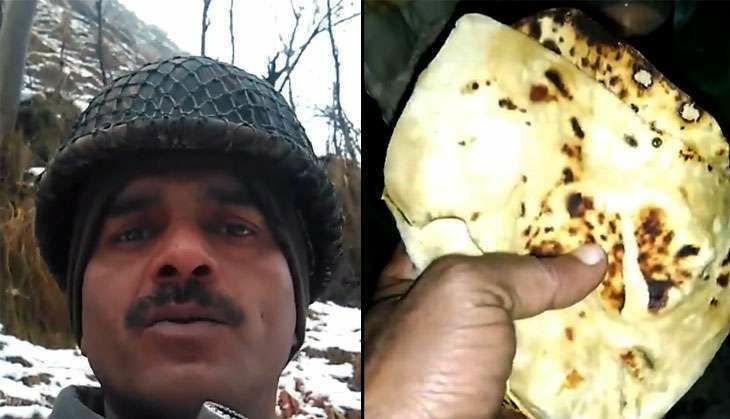 Tej Bahadur Yadav had posted four videos on the social media in January, 2017, that showed his complaining about the unpalatable food at his camp along the Indo-Pakistan border in Jammu and Kashmir. The videos triggered outrage across the nation, but the BSF dismissed his allegations. A probe was later ordered.